Why would I need self storage in Pelham, NY? There are a variety of reasons why you might need self-storage in Pelham, NY. How much is a storage unit in Pelham, NY? The cheapest storage unit in Pelham, NY is $48.00 per month. What size storage units do you have available in Pelham, NY? In Pelham, NY we have sizes that range from 5'x5' to 10'x20' to suit your storage needs. How much is it for a 5'x5' storage unit in Pelham, NY? The cheapest 5'x5' storage unit in Pelham, NY is $65.00 per month. Pelham is a small suburban town in New York's Westchester County, with a convenient location that has made it the home base for many big-city commuters. It's less than a half hour by train from New York City's Grand Central Terminal and near many convenient amenities, including major airports. 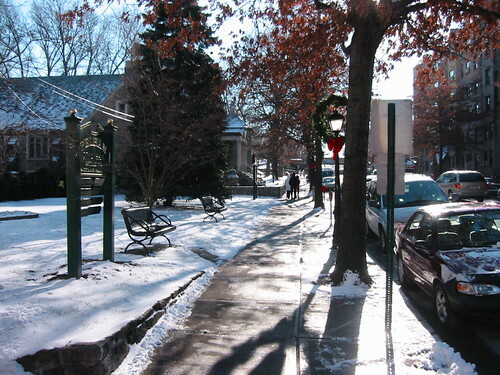 The town of Pelham includes the two independent villages of Pelham and Pelham Manor, each of which maintains its own mayor and police and fire departments. Together, they offer a charming community with a small-town feel that's within easy reach of metropolitan amenities. The land where Pelham is now located was purchased from the Siwanoy Native Americans by Thomas Pell in 1654. He established a manor and named it Pelham in honor of his childhood tutor, Pelham Burton. In the 1780s, Pelham was incorporated into the Bronx, one of the city's five boroughs. When the villages of Pelham Manor and Pelham merged in 1975, the result was the present-day town of Pelham. Because of its proximity to New York City, Pelham is home to a large commuter population. Using the convenient network of public transportation, you can easily access the New York City metro area. As a result, a large job market that stretches across all five boroughs is available for your job search. However, if you'd prefer to stay close to home and find a job in Pelham, that's an option as well. Like most residential communities, it's host to a number of grocery stores, cafes and shops that offer jobs in retail and food service. Archie Comics, a well-known American comic book publisher, is based in Pelham. A few of the major employers in the town are Pelham Public Schools, the New York Athletic Club, Barksdale Home Care Services Corp., Pico Electronics and De Cicco & Sons grocery. Pelham Union Free School District oversees the public elementary, middle and high schools throughout the town. You also have your choice of several private and parochial schools in the area. Utilities: Because the town is split into two independent villages, your utilities providers (including water, electricity and waste disposal) may depend on where you live. You'll need to check your specific village's website to determine which companies you'll need to contact for services. Transportation: Pelham is well-connected via public transportation, including both bus and rail lines. Parking: Many areas of Pelham have strict parking restrictions, which include no overnight parking. There are several lots and garages where you can purchase parking permits. Like most New York City metro area communities, Pelham is an expensive place to live. The cost of housing is dramatically higher than the national average, though slightly lower than in other nearby areas like Manhattan. You'll find many large family homes in Pelham, most of which have spacious yards (especially by New York City standards). Our lowest priced units in Pelham, NY average $56.50 per month. 73 people have reserved units in Pelham, NY in the past 30 days. There are 2 locations within Pelham, NY's city limits.